This award honors the life and work of one of WFA’s Founders, Mary Brown (Brownie) Williams Ledbetter. This is not an annual award, but one which will be given only when that special woman distinguishes herself above all others within the state through her exemplary participation in the building and strengthening of her community. Brownie’s is not an easy example to follow, but the Foundation will be proud to recognize – in years to come – those women who display her values and dedication in their approach to community building. The award was presented to Brownie’s family in 2010 and to Kathy Webb of Little Rock in 2012. 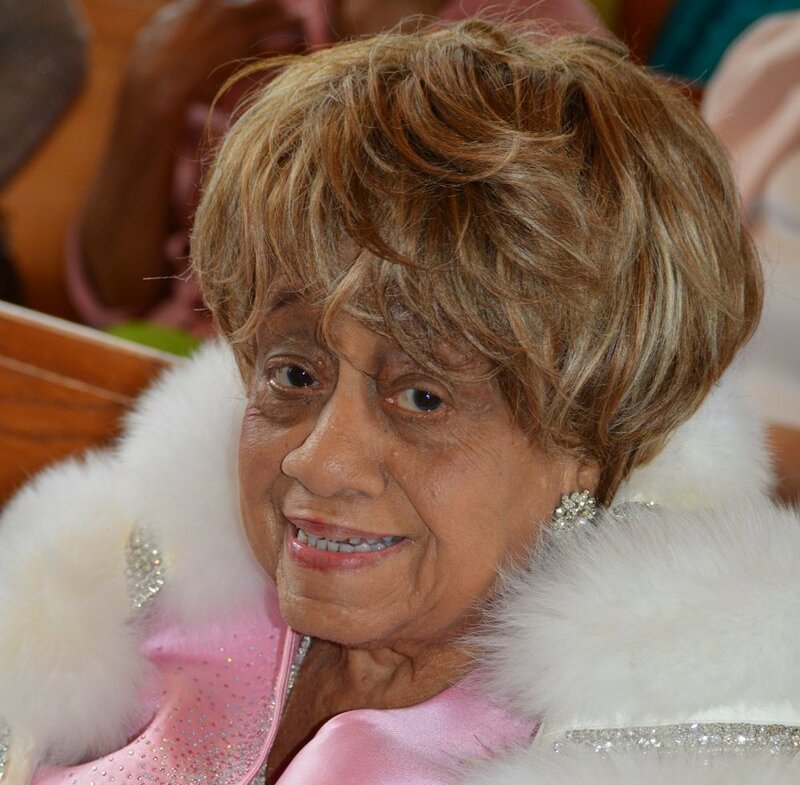 Mary Louise Williams is a retired educator having served more than 30 years as a music teacher and administrator. She has been actively involved in service to the community for her entire life, having served on a number of boards and commissions, sometimes as the only woman or only African American. She has worked with people from all walks of life and backgrounds to improve the lives of the people of Arkansas, and especially those who are underserved. She is an activist, and continues to work, even at ninety years old, to ensure that the rights of all are protected and that all voices are heard. She has mentored scores of women and men in the political arena, academia and civic engagement. She is a strong proponent of education and has personally contributed to a number of students’ college education. She has received numerous awards for her service, activism and commitment to fairness, and she continues active involvement in a number of causes and organizations. She had the opportunity to work with Brownee Ledbetter—finding her to be a highly ethical woman dedicated to the betterment of others, and she is pleased to receive this award named in Brownee’s honor. Charlotte Tillar Schexnayder attended Arkansas A&M College (now the University of Arkansas at Monticello) and the University of Chicago and later received a Bachelor of Arts degree from Louisiana State University, where she also studied in graduate school. The first woman appointed to the Arkansas Board of Pardons and Parole, Schexnayder also served as the first woman president of the Dumas Chamber of Commerce. She has been president of every professional journalism organization in which she was a member, including the Arkansas Press Women, the Little Rock professional chapter of the Society of Professional Journalists, the National Federation of Press Women, the Arkansas Press Association, and the National Newspaper Association. While she no longer owns a newspaper, Schexnayder, now in her 80s, continues to write and remains active in civic life. She lives in Dumas, Arkansas. Kathy Webb grew up in Arkansas and graduated from Little Rock Hall High. She earned a degree from Randolph-Macon Woman’s College and attended graduate school at the University of Central Arkansas. She has also participated in the Senior Executives in State and Local Government program at the John F. Kennedy School of Government at Harvard University. After working in political advocacy in Washington D.C. and throughout the U.S. for several years, she spent over 20 years in the restaurant industry in Illinois, Tennessee and Arkansas. She has been honored by the Arkansas Kids Count Coalition, Just Communities of Arkansas Humanitarian of the Year Award, First Branch Award from the Arkansas Judicial Council and Pioneer Award from the National Association of Women Business Owners. Webb has also been honored by the Sierra Club, Arkansas AIDS Foundation, Arkansas Chapter of the National Association of Social Workers, Pulaski County CASA, Interfaith Alliance for Worker Justice, Arkansas AARP, Arkansas Hospitality Association and the Arkansas Municipal League. She received the Hendrix College Ethel K. Millar Award for social justice and the Rev. Negail Riley Award from Black Methodists for Social Renewal. Webb represents Ward 3 on the Little Rock City Board. She started her first term on January 1, 2015. Though new to the City Board. She served three terms in the Arkansas General Assembly as a State Representative from 2007 through 2012. While in the legislature, she was the first woman to co-chair the Joint Budget Committee. She was also named the most effective legislator by Talk Business. Since leaving the legislature, she has served on the Metropolitan Housing Authority and the Little Rock Airport Commission. She currently serves as Executive Director of the Arkansas Hunger Relief Alliance. The Alliance is the statewide umbrella organization for Feeding America food banks, food pantries and agencies and hunger activists. It is the lead partner for the Arkansas No Kid Hungry Campaign and the education and advocacy clearinghouse on hunger issues in Arkansas. Brownie was born April 28, 1932, and graduated from Little Rock High (now Central). She attended Agnes Scott College in Georgia before marrying Calvin Reville Ledbetter in 1953. While Cal was stationed in Germany, Brownie first became interested in the Central High desegregation crisis. She joined the Women’s Emergency Committee to Save Our Schools (WEC), which advocated the reopening of public schools in Little Rock. She then went on to work with the Panel of American Women, which later expanded to become the Arkansas Public Policy Panel. In 1983, Brownie founded the Arkansas Fairness Council. Other organizations on Ledbetter’s résumé include the AR Women’s Political Caucus (founding member), the ERA/Arkansas Coalition (organizing member, 1973–1978), AR Career Resources, Inc. (founder and director from 1985 to 1990), the Southern Coalition for Educational Equity (state director from 1982 to 1985), the AR State Advisory Committee to the U.S. Commission on Civil Rights, the State Federation of Business and Professional Women (legislative director), and the Women’s Environment and Development Organization (WEDO,co-founder with Bella Abzug). She organized the first Planned Parenthood affiliate and clinic in Arkansas in 1984. Brownie was an ordained Elder in the Presbyterian Church and active in Church affairs. Brownie’s interest and efforts reached far beyond the boundaries of the U.S. She worked with women and minorities from many countries through her service on WEDO and the National Congress of Neighborhood Women. She was a nongovernmental delegate in UN meetings in New York and UN Conferences on the Environment in Rio, Population in Cairo, Women in Beijing, Racism in Durban, and Sustainable Development in Johannesburg. After retirement she continued working on public school issues and served on the board of the Center for the Advancement of Women in New York. Nominations for the Brownie Ledbetter Civic Engagement Award are always welcome. Please submit nominations in their entirety to ensure adequate consideration of nominee’s contributions to the state. Why are you nominating this woman? Please speak to the Nomination Criteria. Nominations may also be submitted via postal mail sent to WFA’s mailing address c/o “Brownie Ledbetter Civic Engagement Award”.